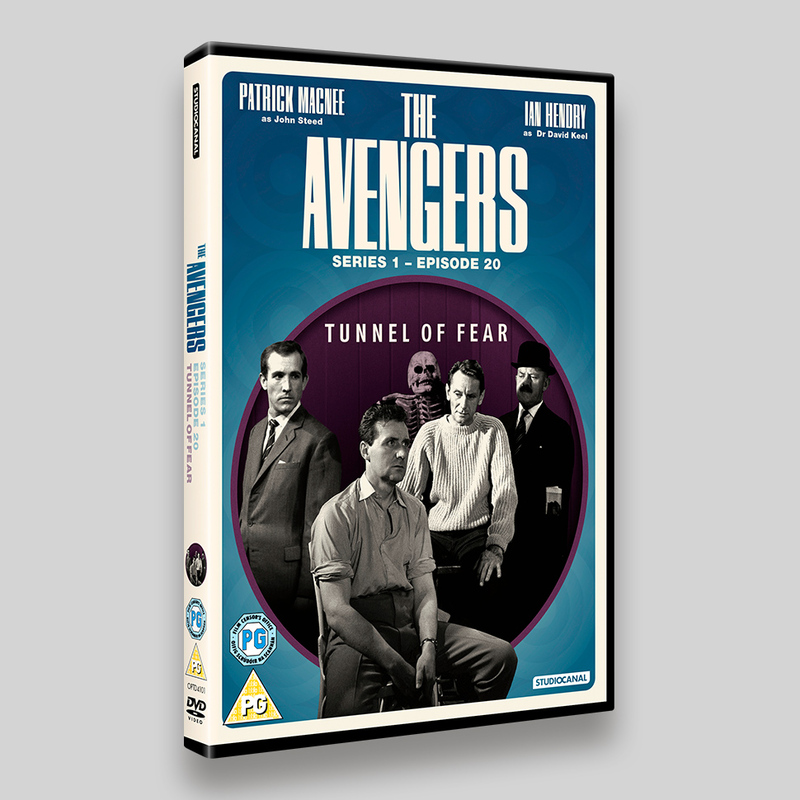 The Avengers – Tunnel Of Fear (TV Series) DVD Packaging, including 64 page booklet for StudioCanal. 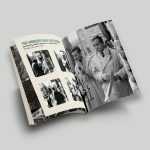 The initial designs for this release featured a commissioned illustration, however, the initial image was dropped in favour of a photograph composition. The style of previous The Avengers packaging was followed, using the circular them as a holding device for the central characters. 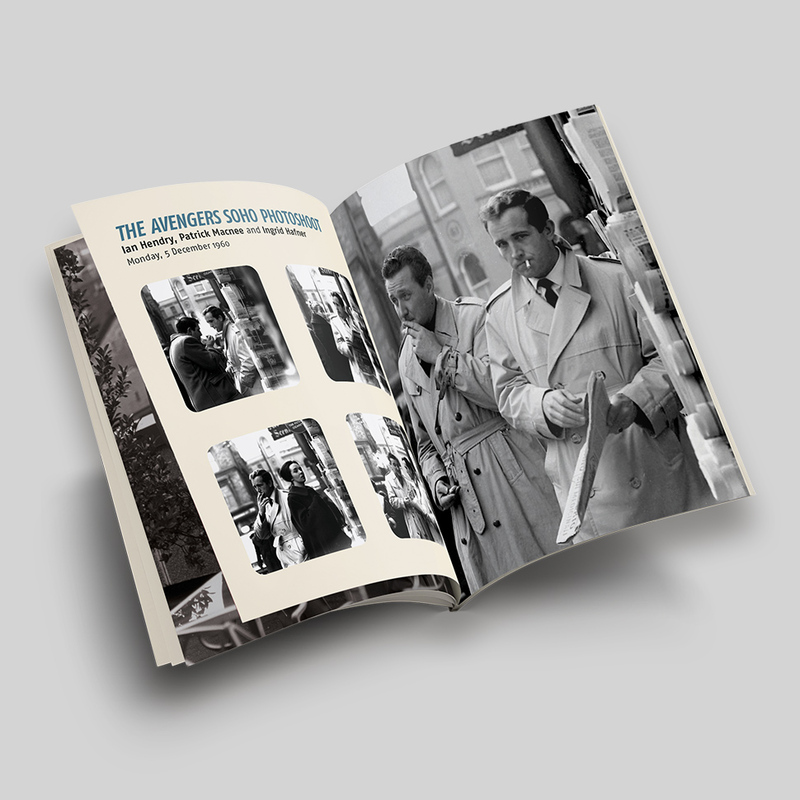 Inside the packaging was a 64 page booklet featuring essays, comic strip and photos relating to the The Avengers and the lost episode. A lovely package for Avengers fans. 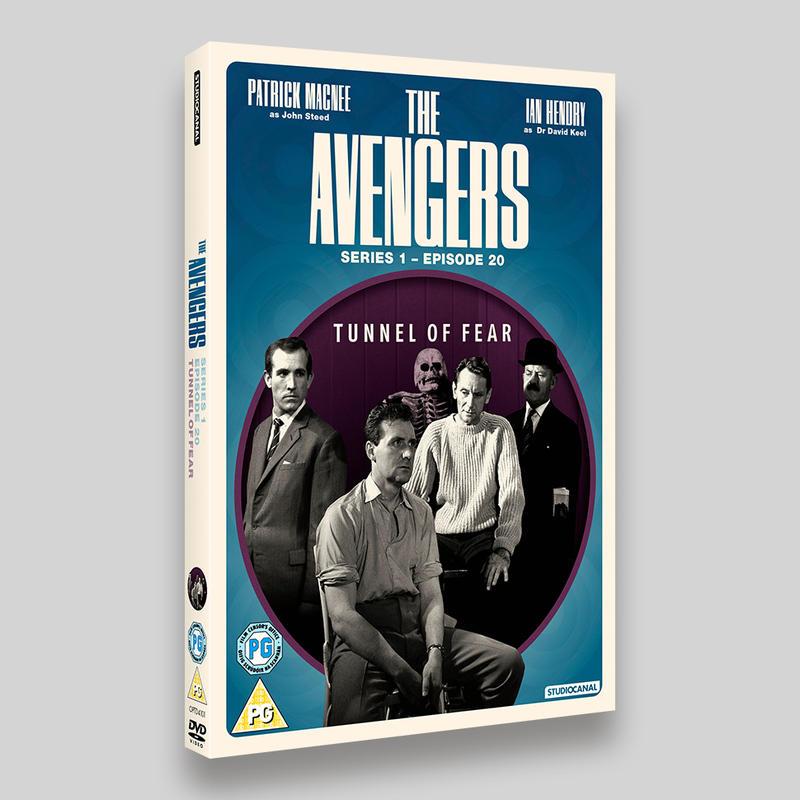 Tunnel of Fear is the twentieth episode of the first series of the 1960s cult British spy-fi television series The Avengers, starring Ian Hendry, Patrick Macnee and Ingrid Hafner and was broadcast by ABC Television on 5 August 1961. It is one of the three known complete season 1 episodes to have survived being purged from the ABC archives. Lost for 55 years, the episode came to light in a private film collection in 2016 and was recovered by the British television preservation group Kaleidoscope. Now for the first time ever Avengers fans will be able to own the episode in its entirety on DVD with a host of extra bonus material. Harry Black, an escaped convict, bursts into Dr David Keel’s surgery wounded. He claims to have been framed for a crime that he did not commit – and begs the doctor not to hand him over to the police. Steed arrives and ascertains that Black has links to Southend-on-Sea which might well tie in with an investigation currently being undertaken by his department. They are aware that top government secrets are being leaked from a funfair in Southend, and Black’s story, if true, could possibly lead them to the source of the operation. Can Steed and Keel bring down the operation, prove Harry’s innocence and get out of Southend with their lives?